Although just 21 years old, Australian eventer Gemma Tinney already has more than a decade of competitions under her belt, along with the title of 2017 National Eventing Champion. As the daughter of Olympic gold and bronze medalist Stuart Tinney, she’s been around horses her entire life—and plans to keep it that way. Gemma is riding and competing full time, all while keeping her horses in top condition with SUCCEED. In 2018, she completed her first 4*, finishing in sixth place. Growing up in the Tinney household gave Gemma an early start to riding. Her parents, Stuart and Karen Tinney, are both international three-day eventing champions and run a 30-acre yard in Maraylya, Australia. Stuart’s Olympic appearances earned him a gold medal in Sydney and, most recently, a bronze medal in Rio De Janeiro. Coming from a very horsey family, I’ve been very privileged to ride some beautiful horses and have mum and dad there coaching me from when I first started riding at the age of five, Gemma says. Gemma’s first mount ‘Snowy’ was a trusty pony she got to share with her sister. By age 11, Gemma was happily immersed in the eventing world and competing under the mentorship of her parents. Throughout high school, Gemma alternated between show jumping and eventing, but ultimately realized that the discipline she craved most was eventing. Once Gemma graduated, she committed to the sport, dedicating her full attention to riding and coaching. In 2016 Gemma partnered up with ‘Annapurna’, campaigning the beautiful warmblood/thoroughbred cross at international eventing shows around Australia. They locked in the third place spot for the CCI2* field at Adelaide and won the Australian Young Rider Championships. Last year Gemma’s success with Annapurna continued. The duo represented Australia at the 2017 Oceania Championships staged during the Melbourne International Three-Day Event and were on the winning Young Rider team. Gemma and Annapurna also sealed a victory at Camden CIC3*, becoming the 2017 Australian National Champions. As Gemma moves forward, she has her sights set on competing at the prestigious 4*level alongside her father. She made an impressive 4* debut at Adelaide this November, where she earned 6th place aboard partner Annapurna. She also plans to achieve the 4-star level with her young gelding Diabolo over the next few years. Outside of competitions, Gemma shares her passion for horses with other aspiring equestrians. She teaches up-and-coming performance riders for Tinney Eventing at the family’s elite training center just outside of Sydney, Australia. Eventing is a powerful display of athleticism that tests the horse and rider combination across three disciplines. Gemma knows that properly conditioning horses for the sport and striking the right nutrient balance can be a challenge as horses are expending high levels of energy. “It boils down to every last detail when you’re managing performance horses, from what you feed to noticing the smallest cuts, scapes, or changes of behavior,” Gemma says. Gemma noticed right away when some of her horses were struggling to maintain their weight and appetite during training and competition. She knew that finding the right supplement for her horses was important, which is when she discovered SUCCEED. Under saddle, your horse needs to be physically fit and mentally prepared for the three different sports that make eventing such a unique challenge. 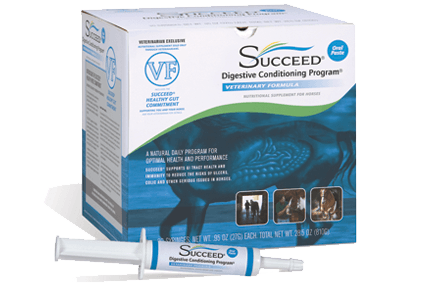 After putting her performance horses on SUCCEED Digestive Conditioning Program, Gemma saw positive results immediately. My horses looked fuller, healthier and started eating very well, Gemma says, adding that the mare who struggled the most to maintain weight now keeps her conditioning. SUCCEED is a great product that’s easy to use. 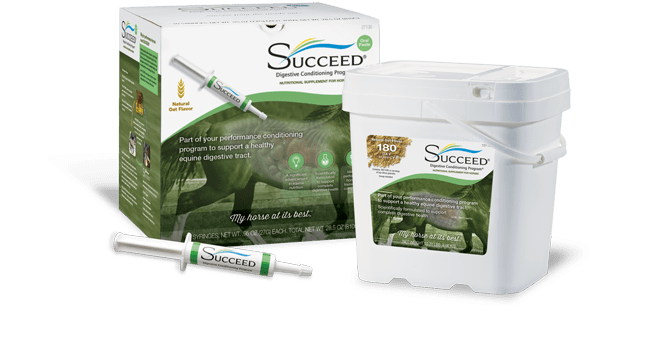 If you want to improve the health and nutrition of your horse, I would really recommend SUCCEED. 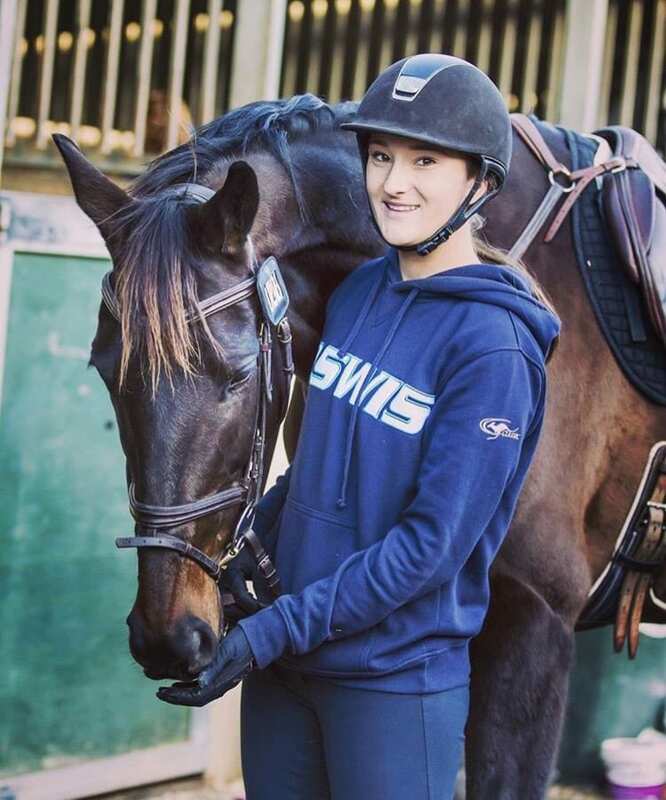 Keep up with SUCCEED team rider Gemma Tinney as she campaigns Annapurna and Diabolo at international eventing competitions throughout Australia. You can follow her on the Tinny Eventing website and on Instagram.